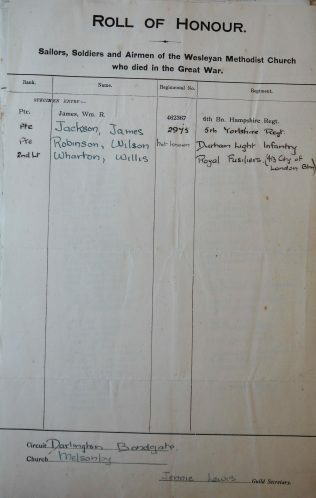 Of the six men from this North Yorkshire village who died in the Great War, three were Wesleyans. 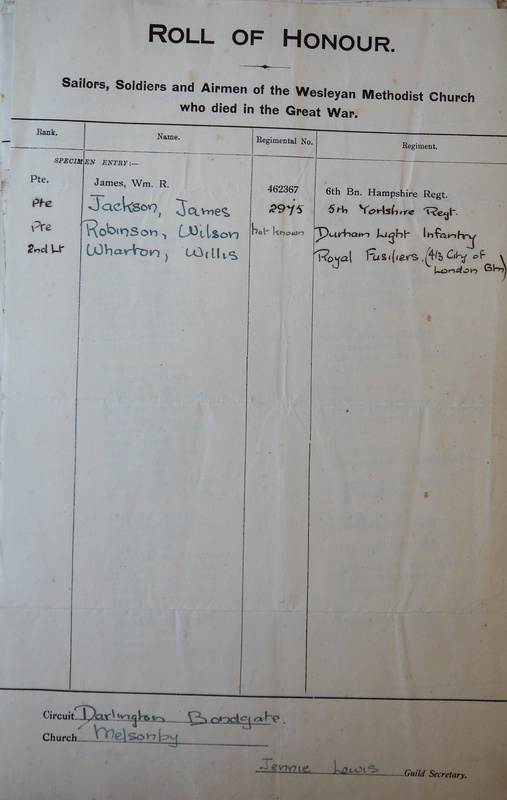 Pte James Jackson 2975 5th Bn. Yorkshire Regt. The chapel is now a private residence, but the village school is still a Methodist school.